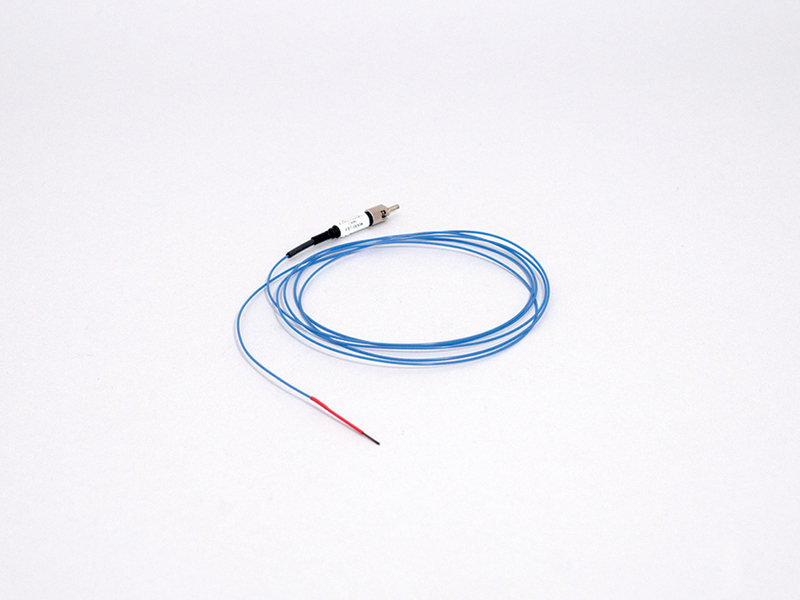 The fiber optic temperature probe TS3 is the best choice for use in RFI, EMI, NMR and microwave environments and compatible with all FOTEMP series instruments. The TS3 probe has a a measurement range of -200°C to +300°C with an accuracy of +/-0.2°C. Unlike the TS2 sensor TS2, the TS3 comes with the option of a customizable length of semi-rigid polyimide probe tip from 10mm to 130mm. With a maximum diameter of 1.7mm, the small profile TS3 probe can fit in the smallest openings and ideal for insertion into non-caustic media such as food, liguids, powders and cultures for monitoring real-time temperature. Starting at 850nm, GaAs becomes optically translucent for which the position of the band gap is temperature dependent. The FOTEMP signal conditioners contain a light source and a device for the spectral detection of the band gap.